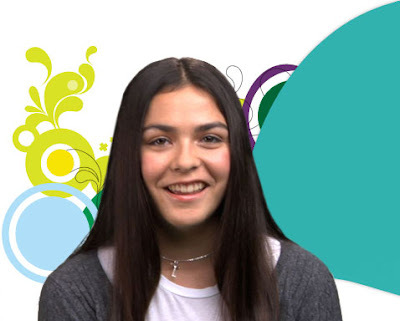 In testimony to the U.S. House Healthy Families and Communities Subcommittee, Girl Scout Dominique Napolitano, 15, from Long Island, New York, will discuss cyberbulling from a teenager’s perspective. As part of her presentation to the subcommittee chaired by U.S. Rep. Carolyn McCarthy (D-NY), Dominque will explore the challenges young people face in navigating life online and dealing with the bullying that takes place online and through social media. Awesome! Girl Scouts of the USA is continuing to take the lead in highlighting the importance of online safety for girls, highlighting their innovative online safety campaign called LMK (Let Me Know), launched by Girl Scouts of the USA and Microsoft Windows. LMK (Let Me Know) has been previously featured at the California’s Women’s Conference in Long Beach, CA, and at the Family Online Safety Institute 3rd Annual Conference in Washington DC. While the full scope of online threats, such as cyberbullying, are difficult to measure, we do know that nearly one in six U.S. children grades six to 10 (that’s 3.2 million students) are victims of online bullying each year, according to the National Council of Juvenile Court Judges. Bullying is not "just a phase" or behavior in which "kids will be kids." The repercussions of cyberbullying can be so grave that at least 13 U.S. states have passed or are proposing laws to make it a crime. LMK includes an interactive Web site for parents and girls, as well as an e-newsletter for parents. The e-newsletter and parent site are designed to provide parents with guidance and also serve as a tool to help families have open and honest conversations about the dangers that lurk in cyberspace.